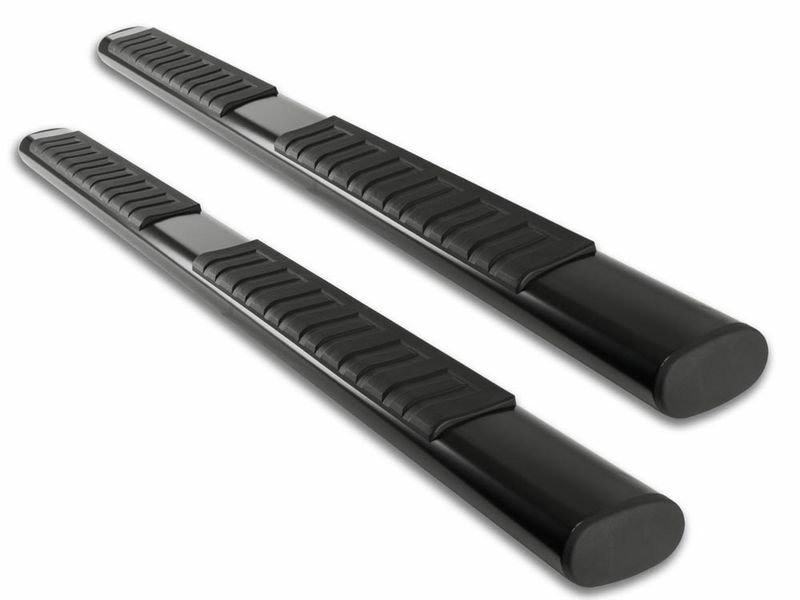 Stainless steel Voyager Plus running boards come backed by a limited lifetime warranty against defects in materials or workmanship and the black running boards have a five year warranty against the same. Give us a call if you have any questions or if you would like more information. Installation time is kept to a minimum with custom mounting brackets and hardware that comes included. Ionic running boards don't require any drilling for most models and should only take about an hour out of your Saturday. We are here 7 days a week; give us a call if you would like more information or if you just have a question about how awesome your truck will look with a set of these nerfs.